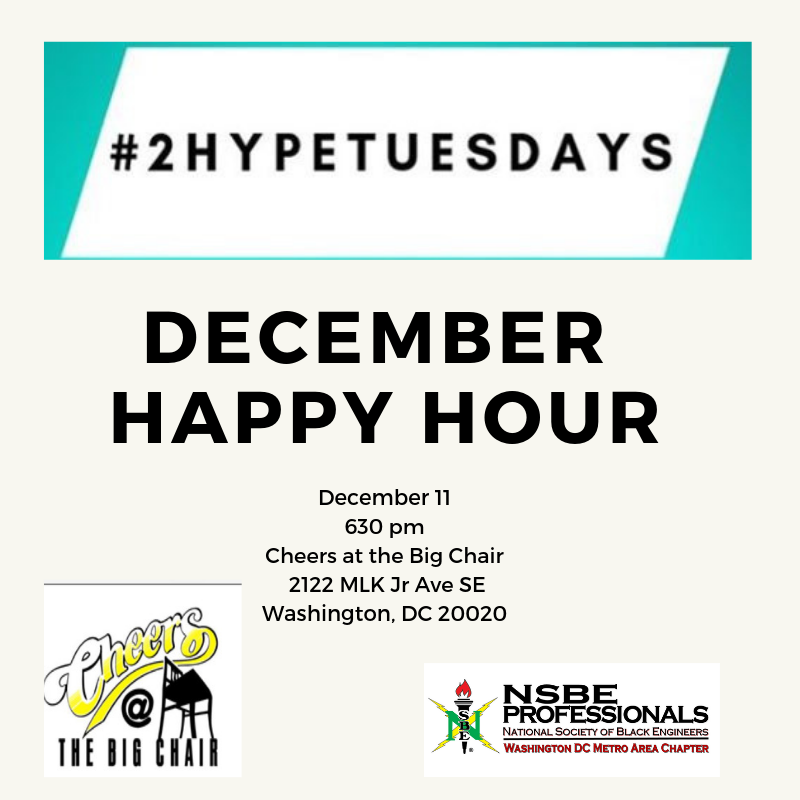 Come chill with NSBE DC and Family for the next installment of #2Hype2ndTuesday Happy Hours. These will be taking place on the second Tuesday of the month at various spots in the metro area. Just an opportunity to enjoy and fellowship with your members and the supportive community of NSBE DC. This month we will be meeting at Cheers and the Big Chair. We'll have happy hour specials all night! There will also be a special drink made for our group! Invite a friend and let's kick it and relax after a busy Tuesday at work. Come and leave when you can. Street parking is available in the surrounding neighborhoods at minimal cost. The nearest Metro Station is Anacostia on the Green Line and is only a 8-minute walk from the restaurant.